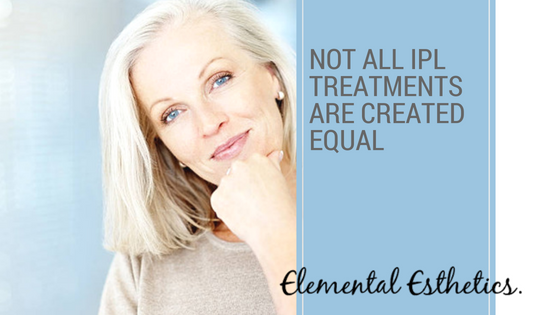 The variances in effectiveness of IPL Photofacial treatments are VAST. If you’re a MedSpa customer who’s been around for a minute. You know exactly what I’m saying here. The machine used, the technician’s experience level and the maintenance that has been done on the machine all add to how good your treatment is… and it’s not a cheap service, so IT MATTERS how effective each treatment is! After 17 years in the business, I’ve tested and ran several different IPL lasers. The machines themselves have evolved substantially over the years. In the beginning, they were effective but soooo painful with a high risk of getting a burn from the machine. The addition of a chilled tip significantly lowered risk of burns and also increased the comfort level of the client. That happened nearly a decade ago. Additionally as the technology has evolved, we have been able to turn the devices down and still get a nice result because the power source running the devices has significant improved. All of this means a better result, with more comfort and less risk. 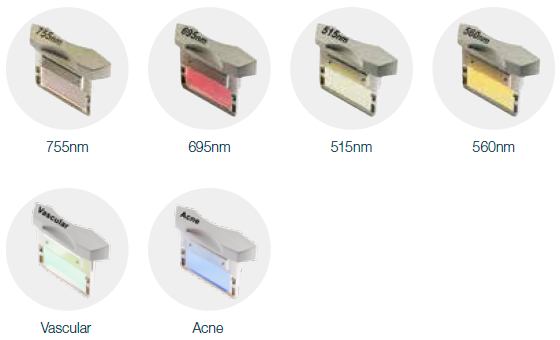 How Are IPL Devices Different? At the end of the day IPL machines are just giant light bulbs (as our technician always tells us.) Because of that the power of the machine (ie the wattage) makes a tremendous difference in how well it works. A machine with 30 watts (usually an older device) will not power the light bulb as well as one with 75 watts of energy. The higher energy supports the “light bulb” much more efficiently, lessening it’s “burn out” rate. As a client this is important to you because the more worn out the light bulb is, the worse it will work on you. Certainly the age of the IPL makes a tremendous difference on how well it functions. One of the secrets in our business is that many doctors purchase already used IPL devices to reduce their cost of business. This practice nets you a less effective treatment so make sure you ask about the devices age before trying a place for the first time. 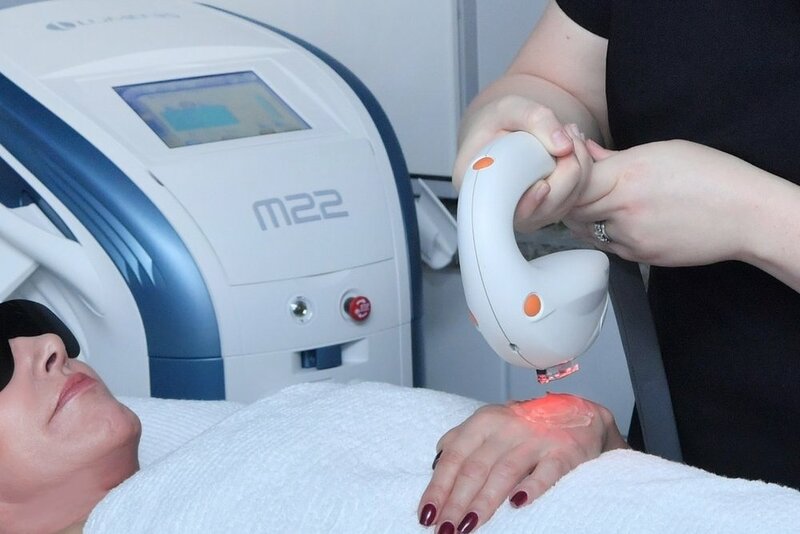 The way an IPL targets issues on the skin is by adjusting the machines “wavelength.” Certain wavelengths target different issues… for example, age spots and redness are targeted in the 500-600nm wavelength range, hair removal at 700-850nm. A great IPL has a tremendous amount of wavelengths available, giving your technician the ability to truly target your skin issues and fix them. My favorite device, the Lumenis M22 has filters that quickly and easily switch out right in the handpiece. Other devices might require changing the entire wand to do the same thing… the down side is with handpiece switching comes the great risk of issues with the handpieces. I worked in an office where when the handpiece died, the doctor purchased a used handpiece from eBay… yes, I just said eBay! You’re more likely to have better, more reliable services when the handpieces don’t have to swap to get a good result. IPL maintenance contracts are stupidly expensive… fixing an IPL laser is stupidly expensive. These facts truly effect your end result as a client. In my 17 years, I’ve only worked at 2 places that maintenance their machines regularly (yes, we are religious about this at Elemental Esthetics!!) This regular maintenance of the device absolutely improves how effective your treatment is… of course. If you have concerns about this, definitely ask to see the maintenance records on the machine being used on you. 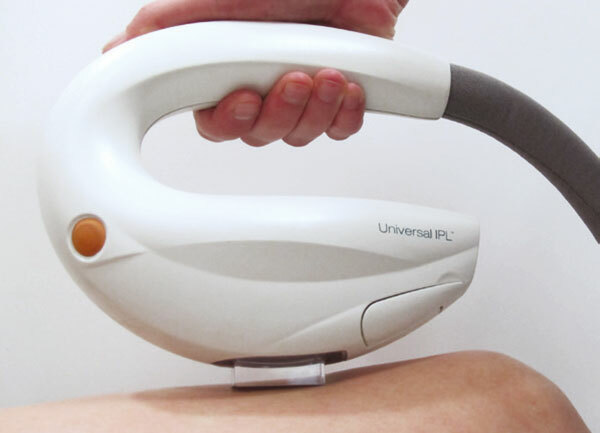 I’ve done IPL treatments since 2005 and in those years I’ve driven and test-driven a number of devices. I can say hands down that the Lumenis IPL machines are more powerful and provide a more consistent result than any other device I’ve used. The filter switching is seamless and quick for you, the client, and they can periodically be updated as well to continue providing you a great result on the machine. They aren’t the cheapest machine out there but it’s definitely worth the money when you’re not having to replace the whole device every 4-5 years. If you don’t live in St Louis and you’re looking for a legit provider with a Lumenis IPL, check out their website to find someone in your area here. Once you cover these bases, you’re more likely to have spent your dollars wisely!